Recently I was eating a bowl of ice cream with caramel sauce. Even though this is something I rather enjoy, I don’t often do. I know if I allow myself to eat ice cream with caramel sauce whenever I want to, it would only lead to more ice cream and perhaps even hot fudge sauce. The bowls of ice cream would grow larger and larger and so would I, but that would not be healthy or wise. On the other hand, when I do allow myself a bowl of French vanilla ice cream with my home made caramel sauce⎯I completely enjoy it and savor every sticky, creamy bit. By the time I am done, one might say it looks like I’ve licked the bowl and spoon clean. If it was something I ate often, I probably would not appreciate it quite as much. 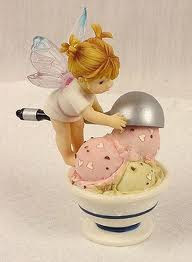 I would no longer allow the ice cream to melt slowly but just gobble it up and wonder where the ice cream went. No longer would the bowl and spoon look as if it had been licked clean. Instead, there may even be a bit of caramel sauce left in the bottom⎯and that my friends would be a sin of the highest degree! First Off: Self-control requires you to listen to your inner dialogue⎯and yes you do have inner dialogue. If you don’t think so, chances are you are living a very noisy out-of-control existence. Secondly: In order for you to hear your inner dialogue or inner voice, you must allow awareness into your life. Turn down the noise and allow your inner dialogue to turn up the volume. Finally: Being aware means you are observing. My last post underscored what I am learning by focusing on my needs. By asking myself questions, I was slowly becoming the observer of my life⎯something I did not realize at the time. This step alone helped me see more⎯kind of like when you stop talking and start listening⎯you hear more. So when you observe more, you see more. When you see more, you are more informed and thus can make better decisions. Your newfound awareness will help you make better decisions, and making better decisions helps YOU gain control. There it is! We know the difference between what is good for us and what really isn’t. My advice to you⎯if you are listening to your inner dialogue and are aware of what you are doing, take pride and enjoy whatever is on your plate. You may now begin to take control of the various corners of you life, and you can appreciate whatever it is all the bit more.